Grammy- and Oscar-winning musician John Legend has launched a campaign, FREE AMERICA, that will address and, if it accomplishes its mission, end the epidemic of mass incarceration in the US. “It’s destroying families, it’s destroying communities and we’re the most incarcerated country in the world, and when you look deeper and look at the reasons we got to this place, we as a society made some choices politically and legislatively, culturally to deal with poverty, deal with mental illness in a certain way and that way usually involves using incarceration,” said in an interview on the topic. Tomorrow, he’ll be visiting a prison in Austin, TX participating in a presser with Texas legislators to discuss the state’s prison system. He’ll also be heading to California to speak at a Politico event on the topic. He’s expected to bring other famous names on board with the project. Legend touched on the topic during his acceptance speech at the Oscars. And he has already seen some success in his campaign, according to the AP, with the passage of California Proposition 47 that makes shoplifting, forgery, fraud, petty theft and the possession of small amounts of drugs a misdemeanor instead of a felony. Having a celebrity name attached to a campaign is always a surefire way to get attention. But with a cause as serious as this, there needs to be a different level of commitment in order for the cause and the campaign to be taken seriously. 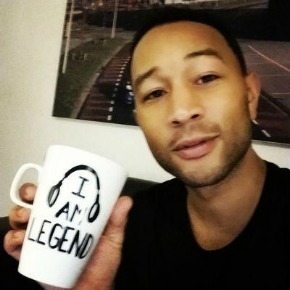 John Legend, with songs like “Glory” and other activism, is showing a passion for this issue and is quickly becoming an authoritative voice surrounding it. And just for inspirational purposes (and because we can’t get enough of this beautiful song), we’re going to post that moving Oscar performance here. If you watch this and don’t feel like you ought to stand for something, you have no soul.